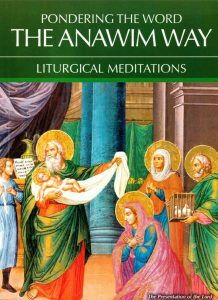 The Anawim Community publishes a periodical booklet of liturgical meditations to help people make use of the scripture readings from the Mass as the basis for their daily prayer. Many people also use them for Lectio Divina during group reflection workshops. At St Anthony’s we begin all our Parish Meetings using the Anawim Way as part of our Lectio Divina. What makes the Anawim Way a valuable guide for pondering the daily scripture readings is that each day’s readings are followed by a meditation which relates directly to the readings and applies them to our daily lives. As we are guided to pray from within the heart of the Church, the Church’s official prayer becomes our personal prayer. We invite you to make Pondering the Word the Anawim Way a part of your prayer life. For information regarding how to purchase the Anawim Way or further enquiries please contact the Parish Office on 8297 1699. 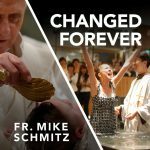 FORMED is an electronic platform for entertaining catholic viewing from movies, documentaries, catholic catechesis to children’s animations and much more. To enjoy a free subscription of FORMED click on the words “REGISTER NOW” and follow the instructions. Please contact Parish Office on 8297 1699 for any further enquiries. St Anthony’s Parish offers countless selections of “Lighthouse” CD’s for a one off $5.00 donation. Listen to some of your favourite speakers and return at your convenience to exchange with another CD of your choice as often as you wish. 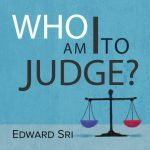 This is yet another wonderful way of tuning into some inspiring Catholic teaching, great for adults and children alike. They can be found inside the church entrance. The borrowing of all the “Lighthouse” CD’s is based on a borrow and return system, relying on your honesty. If you wish to purchase a CD, the cost is $5.00 per CD and they are an effective means of evangelisation. 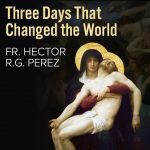 For an excellent Global Catholic Network visit www.ewtn.com for further information or contact the Parish Office on 8297 1699.